Are you looking for a simple yet beautiful outdoor area? Something to keep you dry or shaded and still enjoy the outdoors? 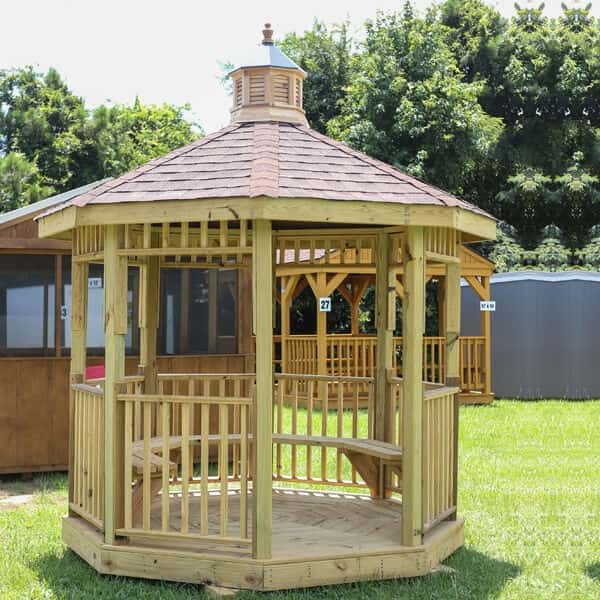 Georgia Yard Barns offers the perfect solution: The Yard Barns Gazebo. Available in treated wood or ask about our paint/stain upgrades. Many other custom upgrades are available! 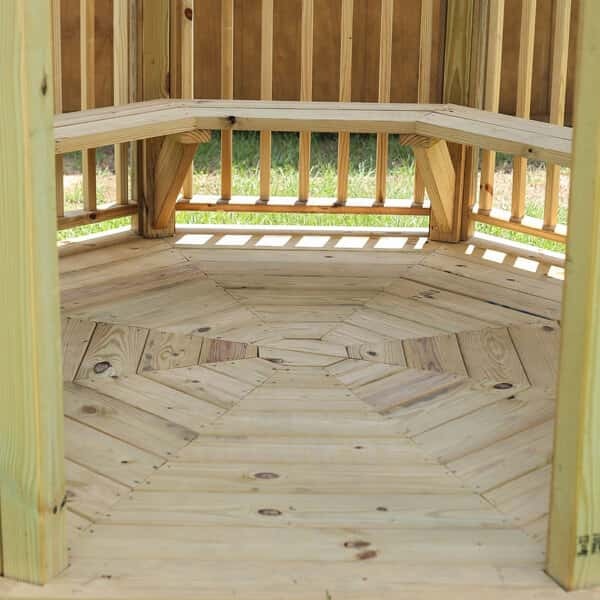 Such as benches, a swing, or add cupola to the roof. 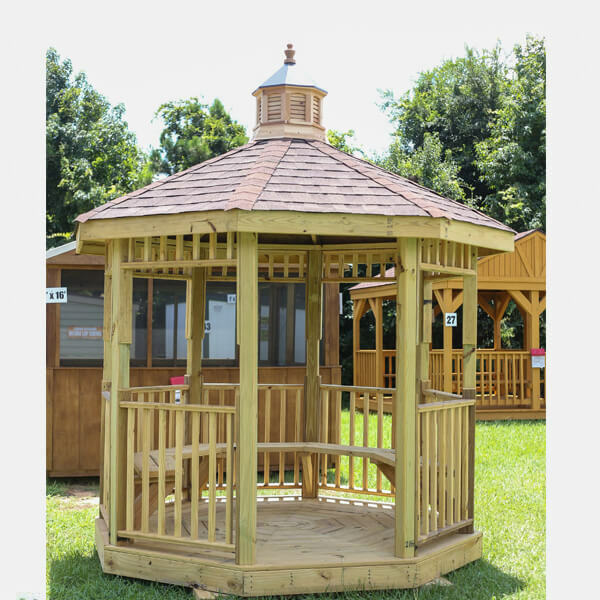 Give us a call today and customize a gazebo perfect for your outdoor space! Sizes available are 8×8, 10×10, and 12×12. NOTE: Only available for purchase at this time. Ask your dealer about our cash price special!